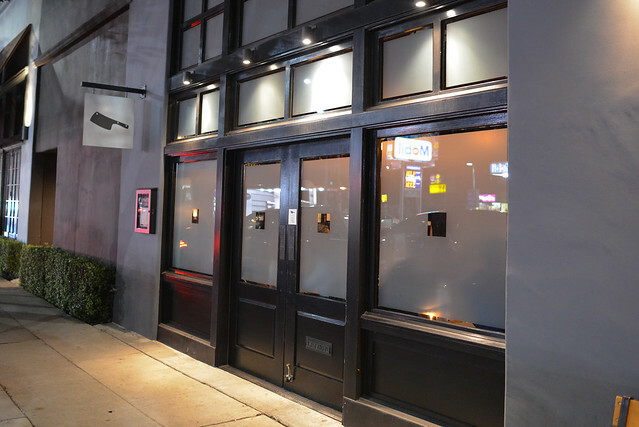 Chi Spacca opened last year and is the latest restaurant to join the Mozza corner at Melrose & Highland. 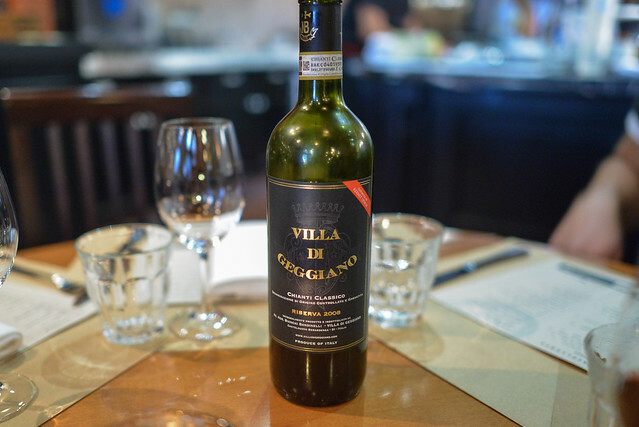 It replaced the Scuola di Pizza, yet in a way is a permanent extension of the restaurant. 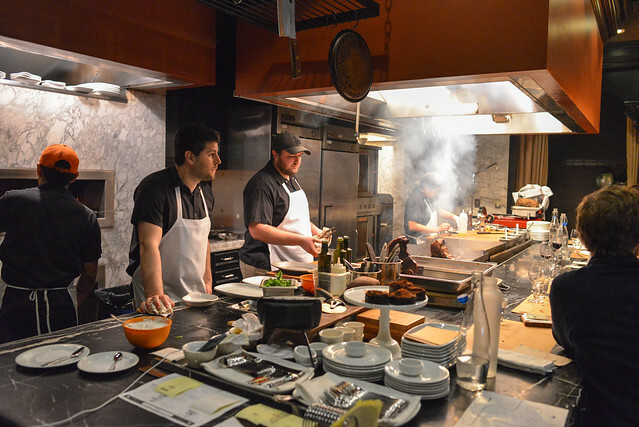 Chad Colby, who used to helm the Scuola kitchen, is also managing the Chi Spacca menu. The restaurant’s probably best known for its house salumi program and catering to a primal way of eating – large slabs of meat cooked over fire. Think 36 ounce veal racks and 42 ounce tomahawk pork chops and beef porterhouses. My kind of place. I’ve been wanting to try Chi Spacca for some time, but it really felt like a place to try with a large group. We rounded up five for this evening and came hungry. 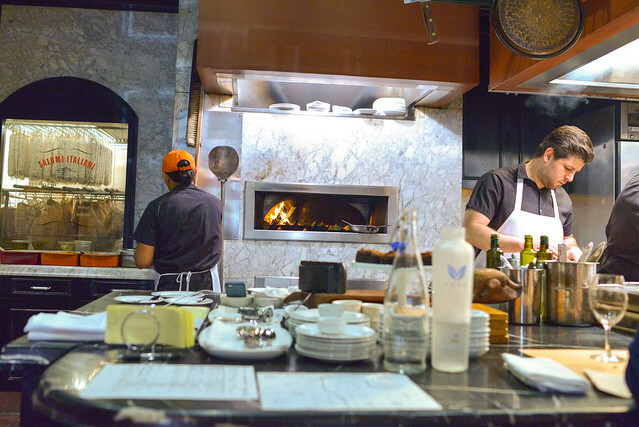 A holdover from the Scuola di Pizza, a completely open kitchen offers visibility into all of the cooking being done between the large steaks on the grill and items coming out of the wood-burning oven. While I’m always down for some steaks, the item I was most interested in trying was a beef & bone marrow pie. It’s a large, meaty pie with a piece of bone (and its marrow) sticking out. However, this evening happened to be “Pi Day” and a number of other parties had the same idea. It ran out just before we ordered. Sad. We ended up centering our meal around the bistecca fiorentina and a roasted pork loin. 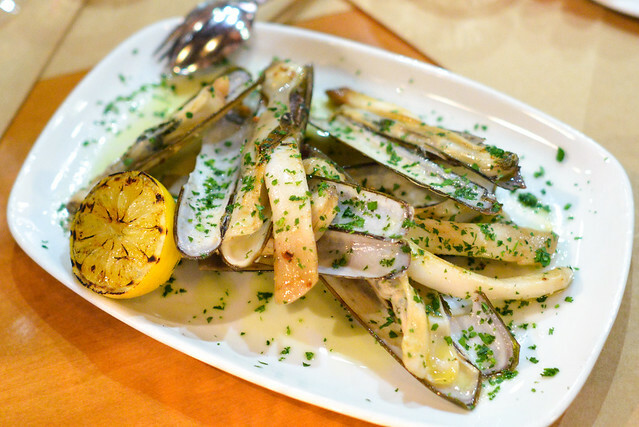 We enjoyed these clams, showing off a natural sweetness and a chewy yet yielding texture. We did find them to be pretty sandy and gritty, at times, though. Our meal quickly moved into the heartier dishes with this one. Rich and gelatinous with a great lamb flavor, we easily gobbled up the tender meat around the bone. Our featured item was up next. USDA Prime from Creekstone Farm, this forty-two ouncer has to be the most expensive cut of domestic beef I’ve had at $175. Because of its thickness, it was seared for quite some time yielding a crispy blackened crust which had great flavor. The interior of the meat, cooked perfectly, was quite good too – juicy, beefy and with a subtle smoke flavor. Truly a beautiful cut of meat and impressive presentation. 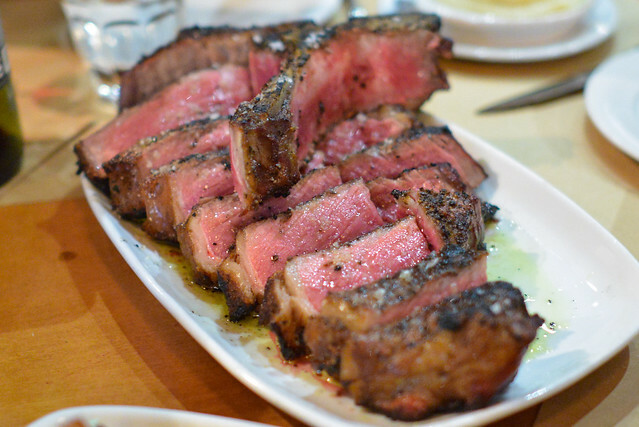 Definitely pricey (even per-ounce), but an excellent steak and perfect for a large party. 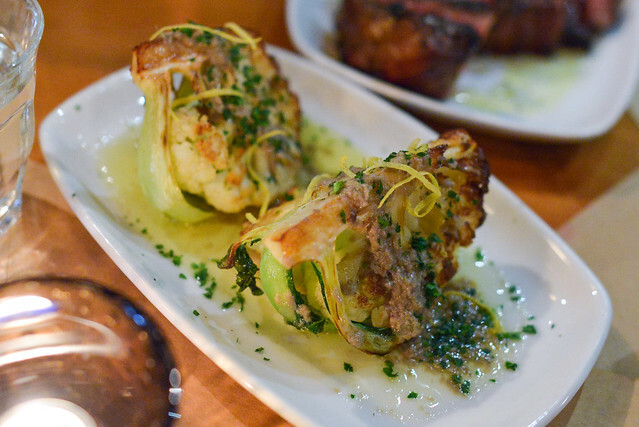 The cauliflower was nicely caramelized, accented by a tangy lemon flavor. 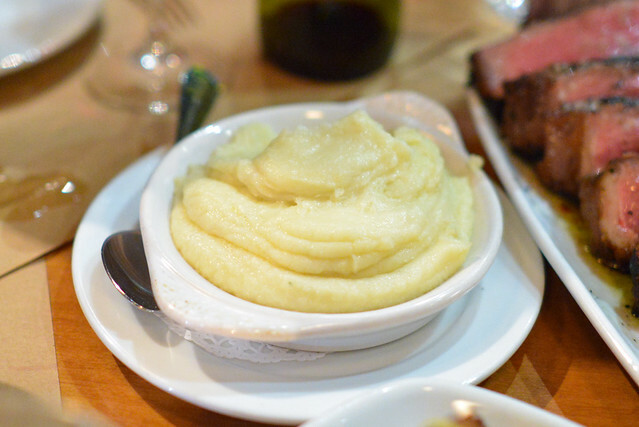 Mashed potatoes were creamy and smooth, exactly as we expected and a classic pairing with the steak. We went with pork as our other main meat item. The loin was roasted in the wood oven and served with a unique milk sauce. Purposely, the milk was not emulsified leaving a sort of broken, curdled texture to the sauce. 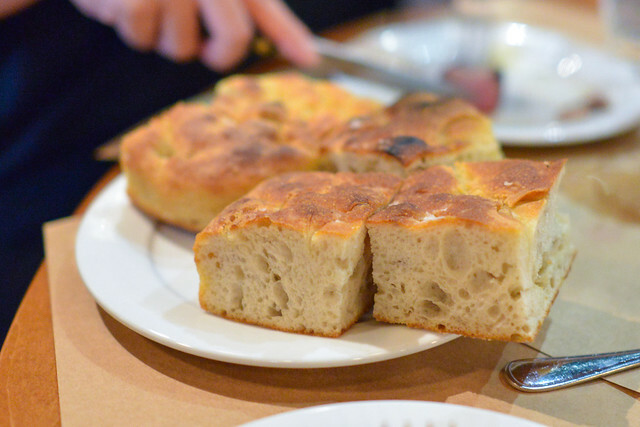 It was delicious, flavored by fresh sage, and was great when soaked up by the focaccia. 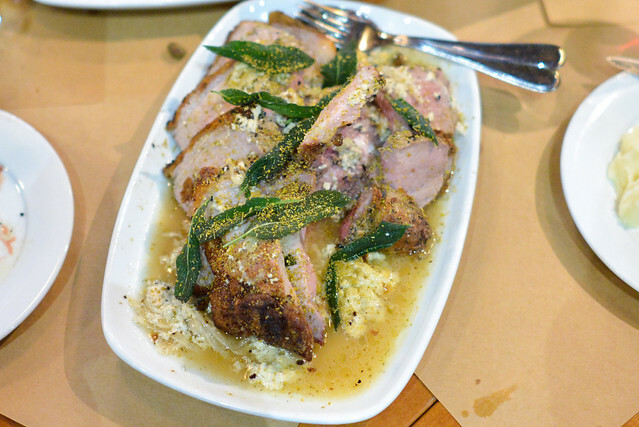 The pork loin was cooked an ideal medium-rare/medium leaving it tender and juicy. We ended our meal on a pair of desserts. Just like its sister restaurants, Chi Spacca’s desserts are handled by Dahlia Narvaez. 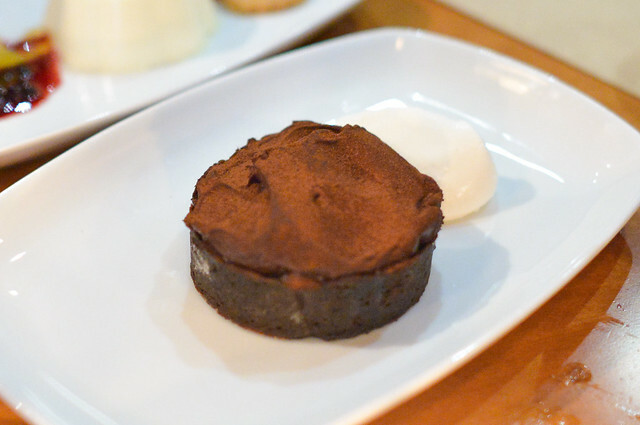 These were very different; the cocoa nib tart showed off strong chocolate and caramel flavors mellowed by a light whipped creme fraiche. 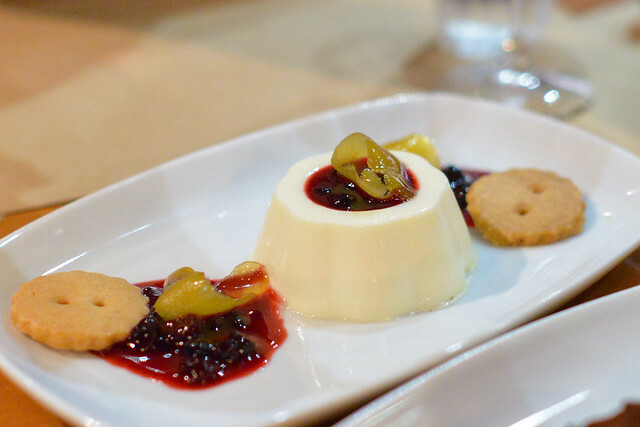 The panna cotta had a smooth texture and showed off some bright fresh flavors. 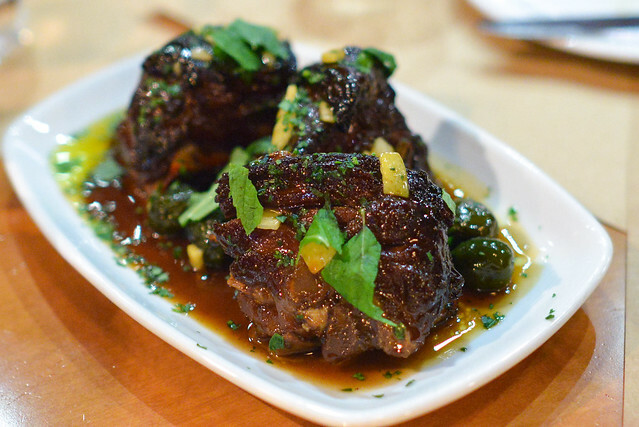 Chi Spacca provided just what we expected – delicious heaps of meat, well-prepared. I found it to be a pretty well-rounded meal from start to finish and our whole party left pretty satisfied. I definitely would return…that bone marrow pot pie is still calling my name. These photos express the best looking food I’ve seen in a while, everything looks so great. P.S. : I love the cleaver sign at the entrance! Thank you! Haha I do too…apparently, Chi Spacca means ‘cleaver’ so it’s fitting! Yes, you need the bone marrow pie! The focaccia, too 🙂 And now I need the steak! Justin and I ended up not getting the bone marrow pie either (our server suggested we pare down our order…and she was right to recommend we do so). Maybe let’s all tackle it together some time?